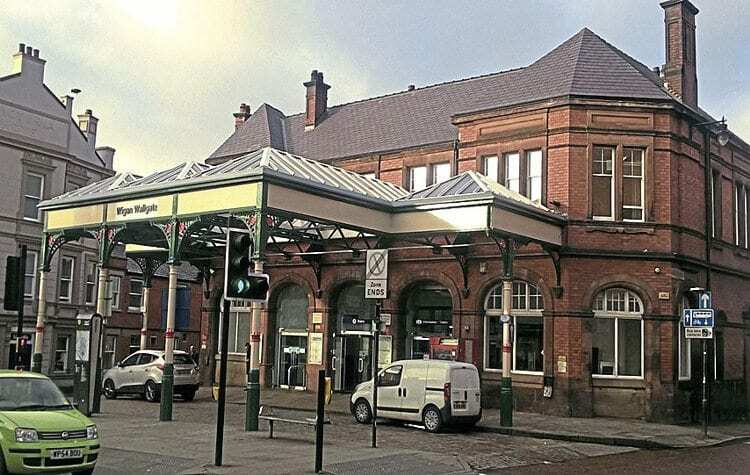 WIGAN Wallgate’s listed station building and ornate Victorian station-front canopy have been restored at a cost of £1million. The station area now has a new roof and new windows, while the canopy has been returned to its former glory after years of neglect. The building has been shrouded in scaffolding since June 2016. Part of the work was funded by a grant from the Railway Heritage Trust (RHT). RHT executive director Andy Savage said: “The trust is delighted to have been able to support this work with a grant. We are most impressed with the quality of the slating work on the roof of the station building, and the way that the new canopy glazing brightens up the whole station. Read more News and Features in January’s issue of The RM – on sale now!